Be protected during the day and night with these Assurance Incontinence Pads. They feature a unique design that block odors before they start. These unisex incontinence pads have an extra-strong and absorbent construction, making them ideal for overnight use. They also feature a waterproof moisture barrier that helps keep surfaces dry. 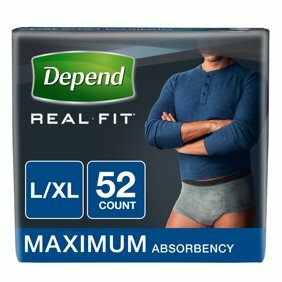 <br />With a full range of products, Assurance lets you feel comfortable and dry while living your active, on-the-go lifestyle. Be protected during the day and night with these Assurance Incontinence Pads. They feature a unique design that block odors before they start. These unisex incontinence pads have an extra-strong and absorbent construction, making them ideal for overnight use. They also feature a waterproof moisture barrier that helps keep surfaces dry. With a full range of products, Assurance lets you feel comfortable and dry while living your active, on-the-go lifestyle. Important: Underpads - Like Most Articles of Clothing - May Burn If Exposed to Flame Or Other Source of Ignition. Keep Plastic Bags Away from Children and Pets. Bladder and Bowel Control Problems Can Be Treated Medically. Consult Your Physician For Additional Information. Not Recommended For Use In Cribs. Instructions: Directions for use: place colored side down on bed or chair surface with white, absorbent side facing up. Disposal: wrap pad securely in its plastic back sheet And dispose of in a sanitary manner. I recently spent several days taking care of my daughter and her family as they battled the stomach flu. Thank heavens for these underpads, they saved me a lot of laundering. They are very absorbent and saved me time and unpleasant cleanups. I plan on always having them on hand "just in case." I tried these for my mom who is not mobile. These are easy to place underneath and very absorbent. Also the slightly larger size allows the use of one pad versus 2 of the 23"X36". They also seem to be sufficiently sturdy. Her caregiver likes these better than the ones we had been using. incontinence is humiliating. dealing with seeping urine is frustrating, uncomfortable and embarrassing. these underpads help alleviate soaking my furniture with urine. i have the option to change the underpad once it's damp-to-soaked easily and quickly. when that's done, i can return to my chair without sitting in a puddle. because the underpad catches urine, my furniture does not have an unpleasant odor and/or stains. what a relief! the underpads have made my life more comfortable, drier and cleaner. so glad i found them. Im taking care of an incontinent person and these pads are amazing. I had to use some bulk mail order ones when i ran out of Assurance during an ice storm, they were terrible. Ive never had these tear on me or wet through to the sheet. I was glad to see that i could order them in bulk here. Love 'em!